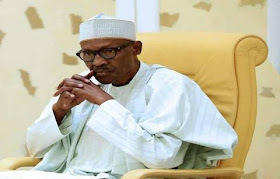 Former Governor and Chairman of the Steering Committee of the Coalition of United Political Parties, CUPP, Prince Olagunsoye Oyinlola, has finally revealed why Ex-President, Olusegun Obasanjo pulled his support for President Muhammadu Buhari. President Buhari’s approach to governance issues and his plot to ‘northernise’ the government were contributing factors to OBJ’s withdrawal. Oyinlola told Daily Sun; “Obasanjo stuck out his neck for him (Buhari) to my knowledge. I was part of every movement, every support, within and without in the belief that we are having somebody better than Jonathan. But what we have found out now is just that the man has been under exposed and we have been able to carry out a wrong assessment of who he truly is. But he has been in government now and we have been able to see the level of his capacity. “At the point where at the initial stage, it was found out that he was trying to northernise the government. And if you see the appointments, you will agree with me that there is not a bit; a clear demonstration of nepotism in his appointment. But he (Obasanjo) could not say anything because he was at the forefront in the campaign to install Buhari. “And when it became difficult for somebody to reach out to the president to chip in one or two words of advice to assist him in governing well, then, what is one waiting for there? Hey Buddy!, I found this information for you: "Why Obasanjo Turned Against Buhari After Helping Him Emerge President – Oyinlola Reveals". Here is the website link: https://headlinenews365.com/why-obasanjo-turned-against-buhari-after-helping-him-emerge-president-oyinlola-reveals/. Thank you.